If you get a huge medical bill, do you shrug your shoulders and think, Oh well, insurance will cover it? Lots of people do, but that’s a big mistake. Medical bills—especially those for a hospitalization or outpatient surgery—have always been difficult to decipher. For that reason, far too many people don’t even make the effort. But with health-care expenses continuing to skyrocket, it’s more important than ever to closely examine these bills. Here’s why: As your health insurance premiums continue to rise, it’s not just your insurer who suffers. You are paying ever-increasing amounts for out-of-pocket deductibles and co-pays. And don’t make the mistake of thinking that there’s an advantage to meeting your deductible faster. If you have to pay $4,500 before your insurance kicks in, for example, and there is a $2,000 mistake (not uncommon), you’re paying for services not received. The idea of a deductible is to lower the cost to the insurer by passing along part of the payment to you. 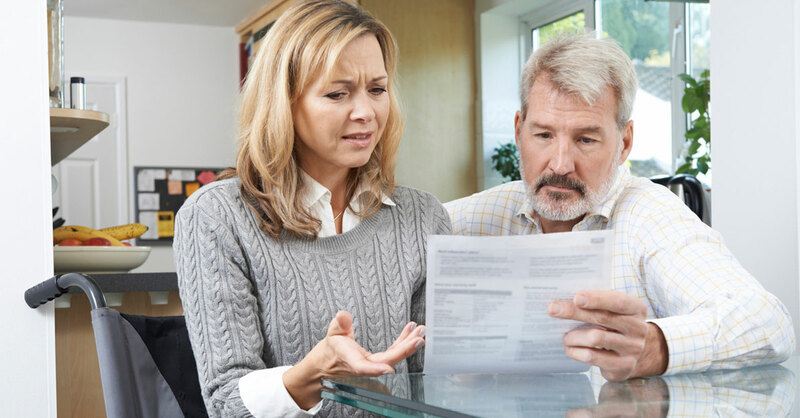 By reviewing your bill carefully, you’re making sure that you’re actually buying something for your money. • Check the basics. First off, make sure that all the administrative information on the bill is correct. Is your name spelled correctly? Is your date of birth accurate? Also, check that the insurance account number is the same as the one on your card, including any “group number.” If you have two policies, such as Medicare and a Medigap supplement plan, there should be an account number for each plan listed. They are almost never the same. If it’s a hospital bill, make sure the admission and discharge dates are correct. If it’s just one day off, it could cost you $1,000 or more. You should also make sure that if your hospital and/or providers are in-network that they’re listed that way…and make sure that any required pre-authorizations are acknowledged. • Get an itemized bill. Most hospital bills list only a summary of charges. For example, it might list $5,500 for “Medications” or $8,200 for “Operating Room.” Never accept such a vague bill. Contact the hospital’s billing office and ask for a completely itemized bill, which will list every charge separately. The provider is required by law to give it to you. This bill will be hard to read, but you can often pick up mistakes or excessive charges. I was once billed $370 for a “patient tray” (with little amenities such as a toothpaste and razor). When I called, I found out it should have been $37. • Ask for a corrected version. Remember, a lot of the costs are coming out of your pocket, so if you spot an error or don’t understand something, call the health-care provider’s billing office. If there’s a product or service you don’t think you received, ask who ordered it. If it was your doctor, you can call him/her if you think something is amiss. You should also call your insurance company’s claims department and notify the representative that you are disputing or questioning a charge. Insurance companies have personnel devoted specifically to reviewing bills for obvious errors—such as listing you as male when you’re female, or charging maternity services for a man—who then contact the hospital directly to get it corrected. If there’s an error, you’ll be glad you followed these steps!